Mike wanted to upgrade his kitchen to something contemporary in style so after a thorough design consultation with Portfolio Kitchens, the Madison shaker was the kitchen of choice. 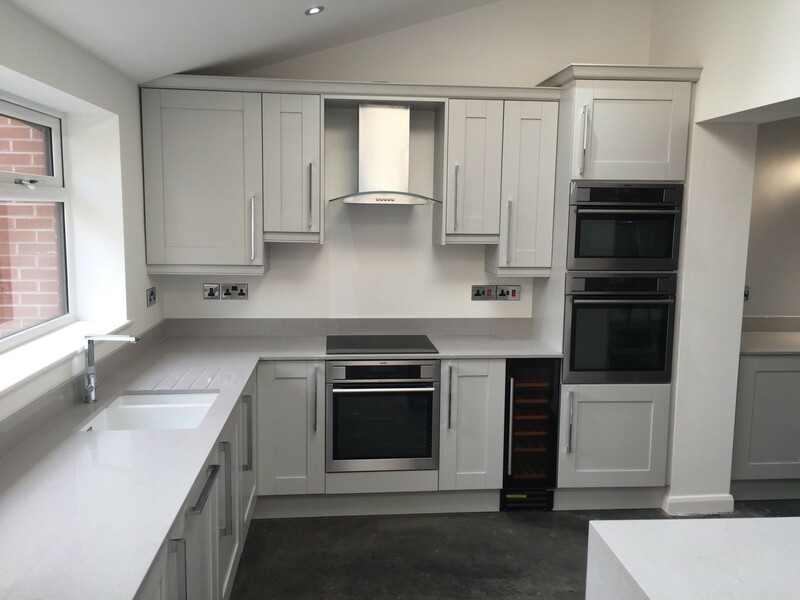 This project features integrated wall appliances to make the best use of space and the doors are complemented by modern chrome handles along with a light coloured silestone worktop. I would like to thank Rob and his staff for their service in providing me with a quality kitchen at a great price. They really took care of us, great company and quality products, I wouldn't hesitate recommending them. Mr Proctor & Mrs Grigg wanted more storage space in their new kitchen and an overall better design. They decided on Ream after visiting their Gillingham showroom and they met Lara, one of their experienced designers. The client wanted an elegant and sophisticated kitchen for their garage conversion. Simply styled timeless units complement the spectacular atrium providing an open living space perfect for family life and entertaining.